In 1802, architects were invited to submit designs for the conversion of the old Houses of Parliament into a new Bank of Ireland. This was despite the commission already being given to Francis Johnston. Henry Baker ultimately won this competition, but this design by Richard Morrison was unplaced. 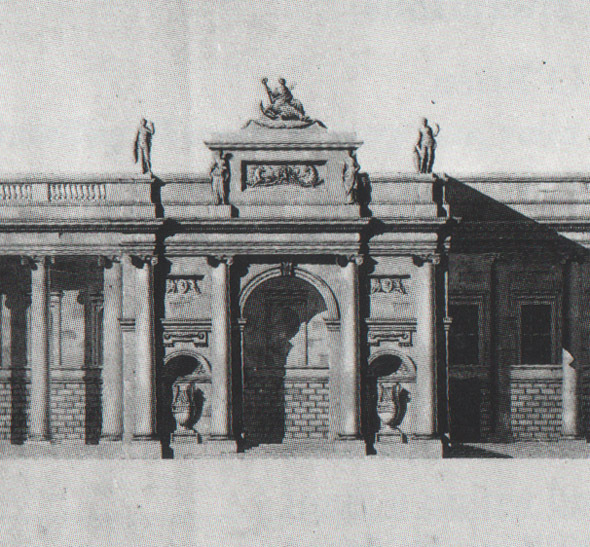 It shows a symmetrical front with curving colonnades and triumphal arches added to the ends of Pearce`s original colonnade.